Amidst the busyness of my days of parenting, housekeeping, and teaching, it’s sad that my priorities can get out of focus and my time with the Lord often gets put on the bottom of my list. It’s no wonder that my days don’t go well when I haven’t spent time with the Lord. 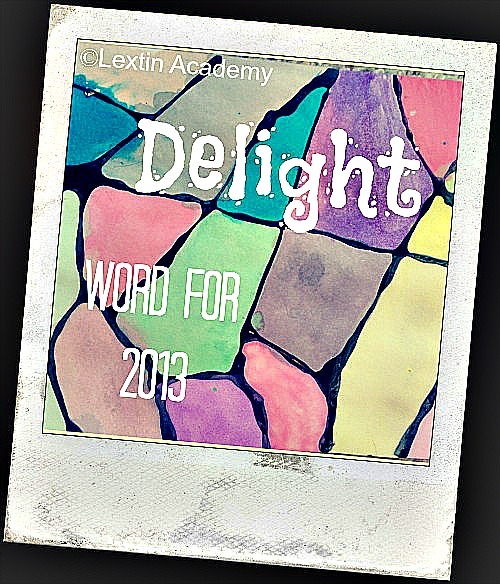 So, I’m working to realign my priorities to find delight in the Lord. It’s only through Him that I can truly find a reliable source of delight and joy. How often do I stop and just revel in my salvation? It’s easy to pass over the enormity of what Christ did for me. After all, I was saved many years ago and my baptism is an event I barely remember. And then we often compartmentalize sin and we have our own ranking system for the gravity of various sins. We forget that God sees all sin as the same. When I am reminded of my sins, I become more aware of His salvation and how much I need it. I plan to remember to reflect on my salvation and find delight that Christ was willing to die for me. To Him, I was worth it. And that’s something to delight in. Correction is never fun. But what’s even worse, is continuing on down the wrong path, whether trapped in sin or refusing to listen to God’s direction. I would take a little correction to get me back on the right path than to be left on my own and lost in my sin. I can take delight in the fact that the Lord loves me enough to correct me and pull me back into His plan when I’m seeking Him. What homeschool moms need is not patience. No, it’s forgiveness! It seems like we have more opportunities to mess up and blow it. I need forgiveness over and over each day. I’m so thankful that God offers his forgiveness freely. In turn, I have the privilege of accepting His mercy and also demonstrating His grace and mercy to my kids. They can learn from me as I ask for His forgiveness and then I bask in the freedom of someone who is fully free. I often feel so inadequate to teach my children. I think of the goals I have for them and my knees feel weak. I want to raise strong, smart, well-rounded children who have high moral standards and rely fully on Christ. It’s a tall order. And I quickly recognized that this is not something I can achieve on my own. Only with Christ’s help and guidance can I point my kids toward the target and stay focused. I can delight that I have the chance to learn from a master teacher who has given us His word for wisdom and teaching. I have the ultimate teacher’s manual that I can turn to. I have teacher who can educate minds and change hearts. I can delight that I can learn from Him as I teach my children to seek answers from the One who is the beginning and the end.